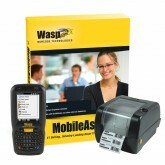 Asset tracking solution specifically designed for schools. 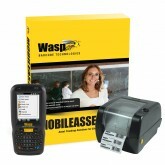 Wasp MobileAsset.EDU edition through EMS Barcode Solutions is the definitive tool for tracking the valuable items of your educational institution. 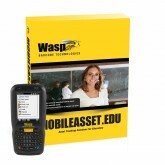 With the ability to collect comprehensive data across over thirty customizable fields Wasp MobileAsset.EDU is ready to track a wide range of items. From IT equipment such as computers, laptops and iPads, to larger items such as fleet vehicles or classroom furniture you will be able to easily and efficiently identify where your valuable assets are at any given time, and much more. Let our team of knowledgeable barcode consultants work with you to identify the right fit for your needs, and you will be on your way to tracking not only your valuable items locations but also their maintenance/upkeep, check out/in history, and even which funding source was utilized in the items acquisition. E-Mail alerts for items past due or upcoming scheduled maintenance events help you stay on top of managing your assets daily. With our professional services team, and ongoing free technical support through Wasp, you’re never on your own when it comes to setup, implementation and ongoing operation of Wasp MobileAsset.EDU. 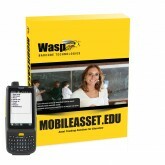 Wasp MobileAsset.EDU is ideal for any educational institute that seeks to have increased traceability and accountability for their assets. It is especially useful for organizations that routinely lend equipment or valuables to staff or students and would like to track their date of return.